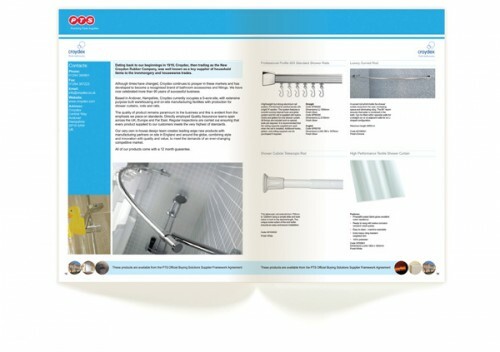 We have recently completed a new A4 brochure for PTS, Plumbing Trade Supplies. The new brochure is titled ‘Buying Solutions Supplier’ and has been produced to target social housing providers / buyers to illustrate the massive range of products available through the PTS network. This 80 page sales brochure involved collating information from 30 of PTS’ suppliers and artworking the varying amounts of text and images into a consistent design throughout. 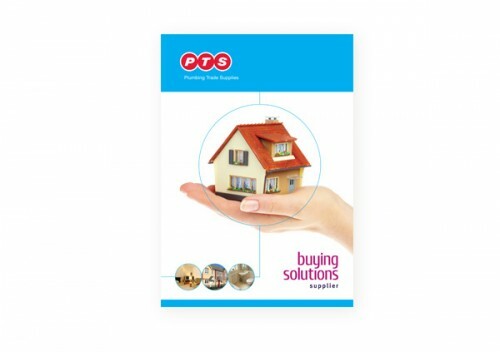 PTS will be using this new brochure as an important sales and reference tool for social housing landlords and public sector customers to use via the Buying Solutions EU Compliant Framework Agreement.